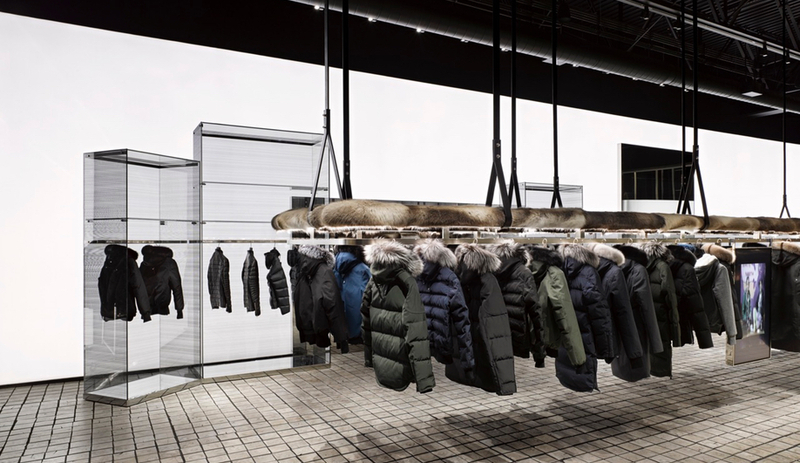 Features of Moose Knuckles’ Toronto location in Yorkdale, by Burdifilek, include a floating clothing rack wrapped in fur and a glowing LED wall. 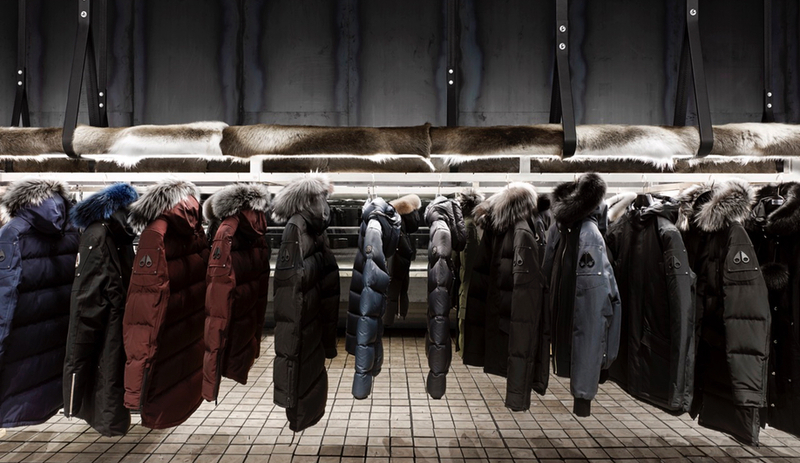 The first free-standing store for Canadian outerwear brand Moose Knuckles breaks a lot of the rules of traditional retailing. Views into the shop are obscured. The change room and cash desk are disguised. And the number of clothes on display is minimal. Such counterintuitive gestures, however, are part of a deliberate strategy to distinguish the brand and its trademark street sensibility through its new flagship. 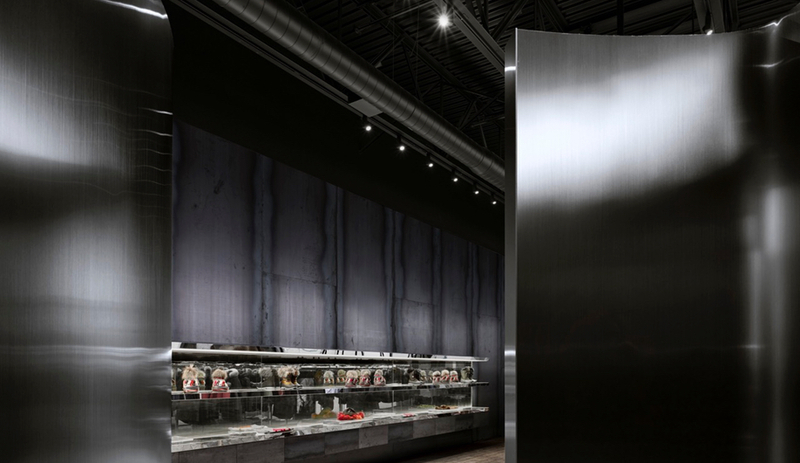 The first visual pause happens right at the entry to the space, which is spread over 255 square metres in Toronto’s upscale Yorkdale Shopping Centre. 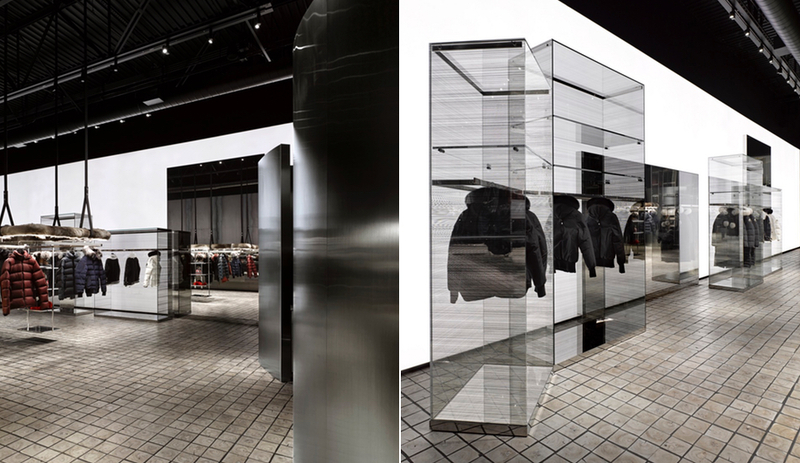 Evoking a distorted version of the Moose Knuckles logo, a sinuous display window/partition sits at the centre of the threshold, concealing the service areas behind it and directing customers to enter the store from the periphery. Inside, four laminated-glass display cases accented with printed horizontal lines stand in front of a glowing white LED wall along one side of the space. 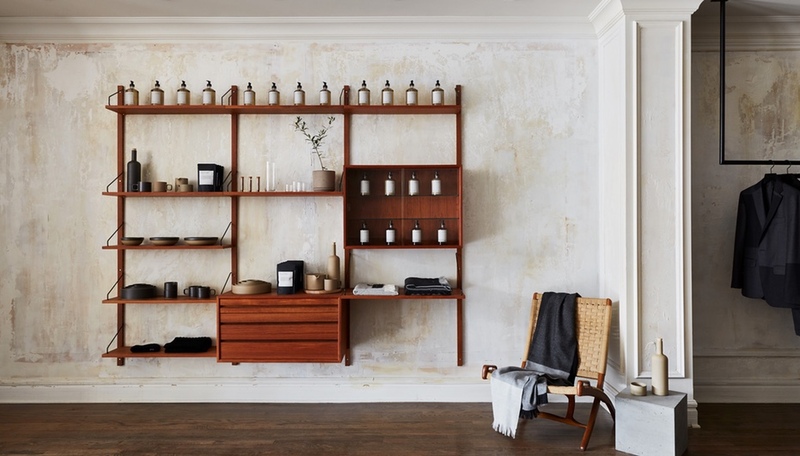 On the other side, the wall is clad in hot-rolled steel, forming the moody backdrop for a long row of infinity-glass shelving. Running down the centre of the store is a long, floating raceway wrapped in fur. Coats and jackets hang in silhouette from the framework, which hangs from the ceiling by leather straps. 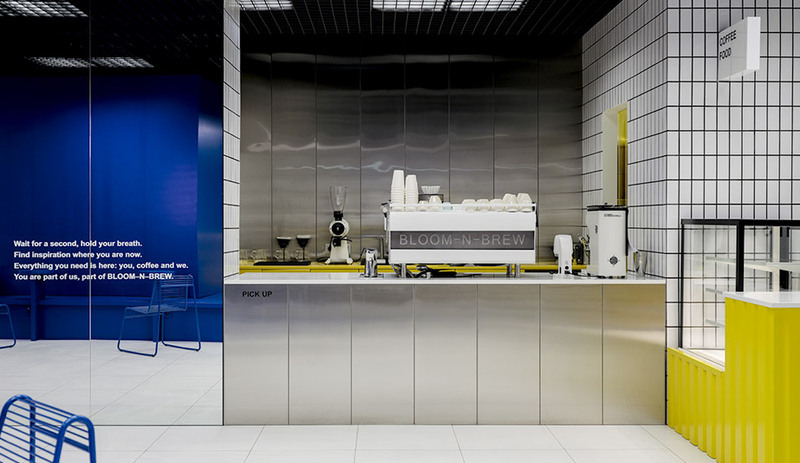 The flooring that runs throughout the space is made of end-cut black locust blocks and is meant to emulate cobblestones. 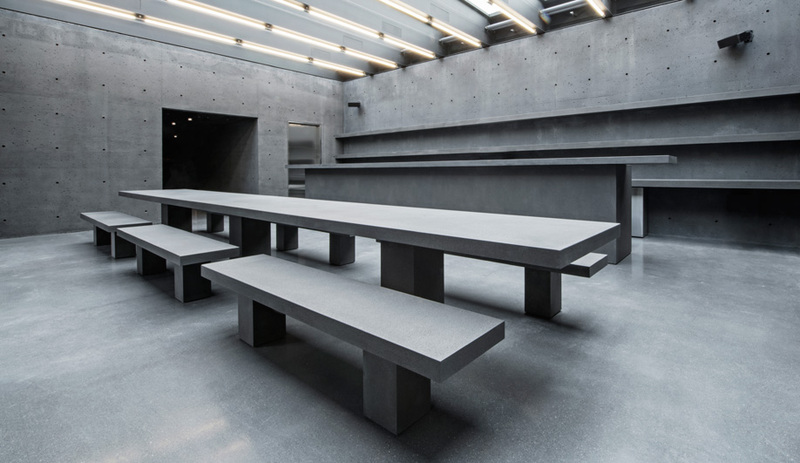 It was inspired by the flooring at the Prada Foundation in Milan. 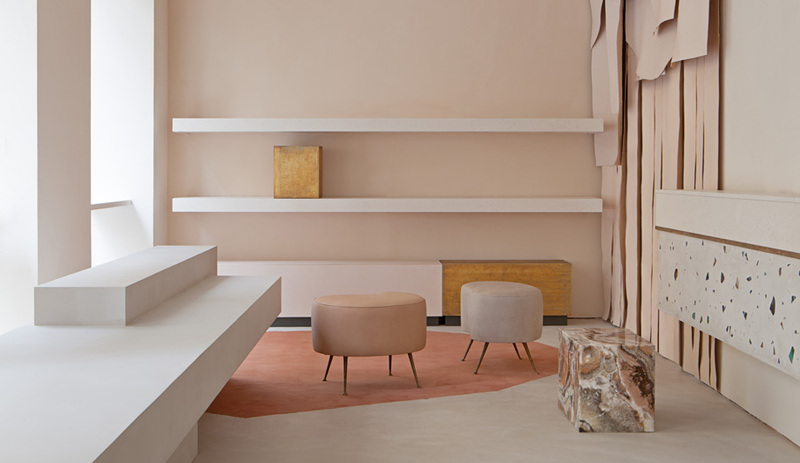 Overall, say the designers, the contrasting elements that collectively define the space – warmth and iciness, coziness and edge – should provide an instant picture for both longtime fans and newcomers of what Moose Knuckles, which was founded in Montreal in 2007, is all about.